INDIANA – Five families finalized their Indiana adoptions today! 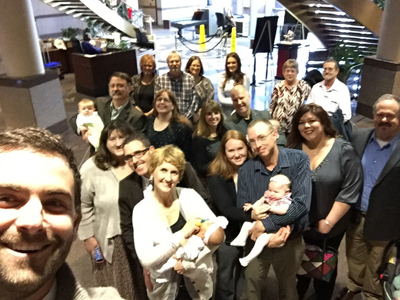 These families happily participated in this first ever Indiana adoption selfie taken at the court house today moments after all of their adoptions were finalized. These families, and all families that adopt, travel a long and emotional road to become parents. They are only able to become parents because there are some truly amazing and inspiring birth mothers out there that choose to place their children for adoption, or put up their baby for adoption, or “give up” their baby for adoption (even though no baby is ever “given up”! ).